The Standing Lady of Justice Sculpture, Clock & Pen Holder is a versatile multifunction law desk accessory that does more than just tell time. It provides a pen holder to organize your desk items along with a decorative Lady Justice sculpture that will add an authentic touch to your desk. Truly represents the justice system and a lawyer's profession. 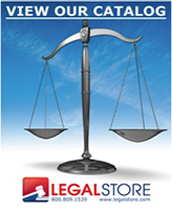 The marble base goes with any lawyer's desktop. Desk top 30 Minute Brass and Green Marble Sand Timer with Legal Scale Logo.